Welcome to Hard Shoulder – thrilling audiences far and wide with their breath-taking stunts and daredevil antics! 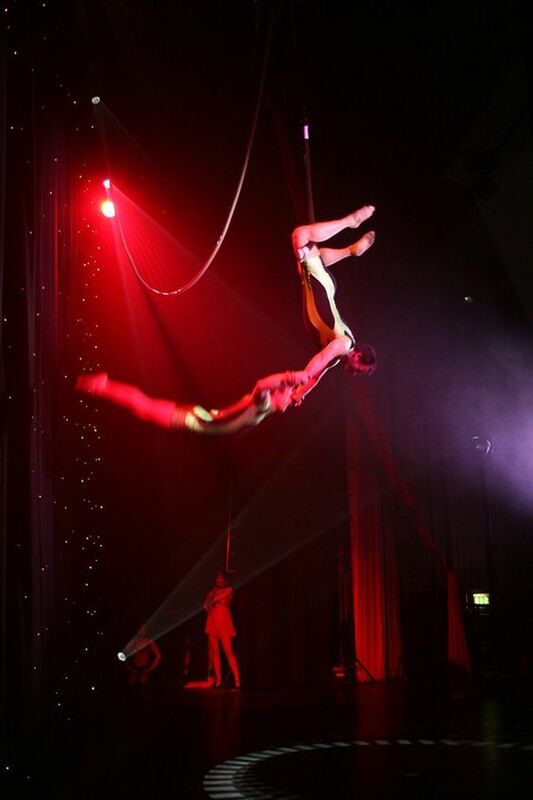 Male trapeze duo Hard Shoulder are at their daring best and ready to entertain you and your guests. This world-class duo perform jaw-dropping feats of strength, heart-stopping drops and world class skills, guaranteeing the audience an edge of the seat experience not to be missed. This explosive 6 minute act of daring doubles trapeze is performed high above the audience. As the high energy music pumps up the atmosphere, the boys tumble acrobatically onto the stage before taking to the air. They drop and catch, twist and turn, balance and swing while moving above and below the bar. Pausing briefly, as much to allow the audience to catch their breath as themselves, Hard Shoulder launch back into action, swapping places and let’s be honest…showing off a bit, but why not? 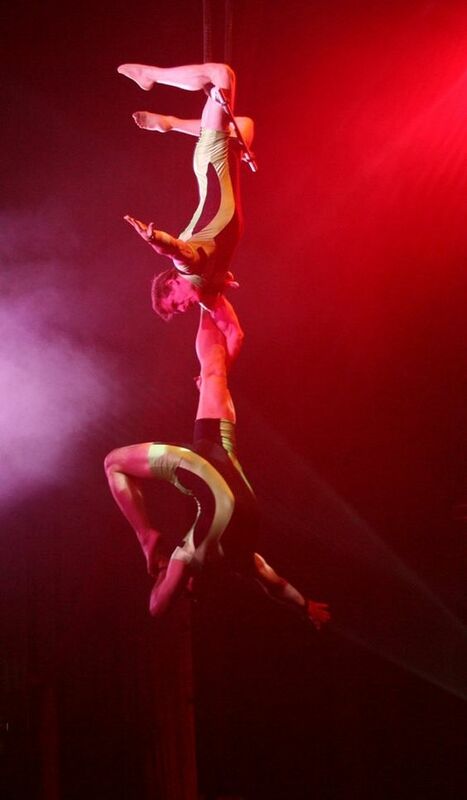 This act can be performed in a variety of styles from comedy Victorian ‘Strong Men’ to UV trapeze. If the client requests Hard Shoulder to use a particular sound track or costume, this can also be done – nothing is too much trouble for these boys! Hard Shoulder have a wealth of world-wide performing experience, from theatres and nightclubs to corporate dinners and Royal events.